Guest Rev. 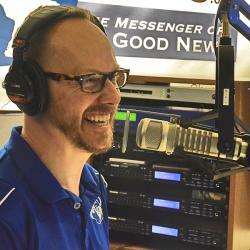 Paul Cain, pastor of Immanuel Lutheran Church and headmaster at Martin Lutheran Grammar School in Sheridan, Wyoming, discusses the Consortium for Classical Lutheran Education, what classical education is, and who it is for. Rev. Cain also talks about the details for the upcoming CCLE Conference, “Classical Lutheran Education: A Pedagogy of Truth,” on July 11-13, 2017, at Trinity Lutheran Church and School, Cheyenne, WY. Register for the conference at ccle.org/ccle_xvii.